Consumers are happy about the recall, but many express doubts that significant improvements to the product will be made. RACINE, WI – Dollar stores around the world are issuing a massive footwear recall. 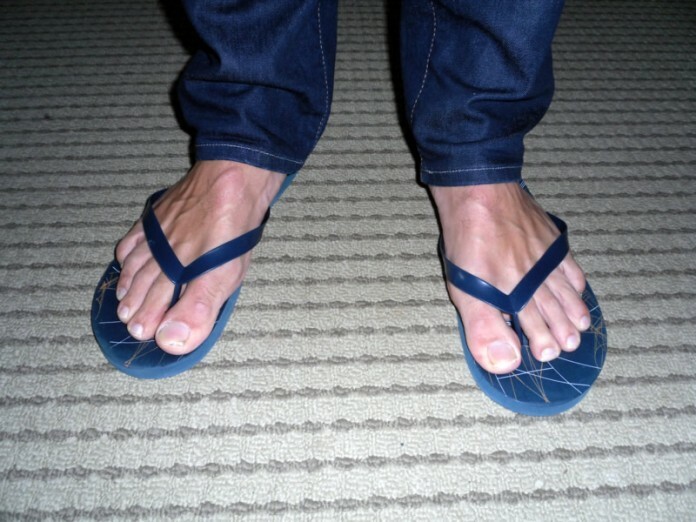 The products, marketed as sandals, flip-flops or “chappals,” depending on the region, appear to have serious design issues affecting many consumers. MWAD noted numerous additional flaws including inconsistencies of sole thickness and tread pattern irregularities, leading to many slips and injuries in wudu areas and bathrooms. Consumer advocates are hailing this as a victory for exposed toes everywhere, noting it’s the largest recall since last summer’s Lotacorp fiasco. The Lotacorp recall, involving the promotional “Sriracha Lota,” is still a sore spot for many involved.